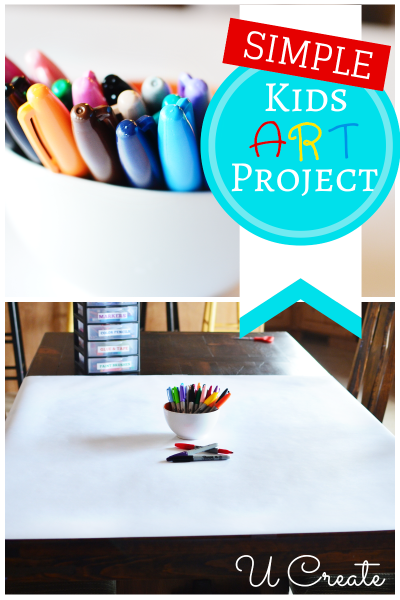 Simplest Kids Art Project…and Boredom Buster! Okay, now I know this is incredibly simple, but this is my daughter’s FAVORITE thing to do. I just had to share it. My 5 year old gets so bored at home! Her siblings are at school and she doesn’t start school until the fall. So when I have deadlines to meet and blogging to do, I occupy her with butcher paper and Sharpie markers! 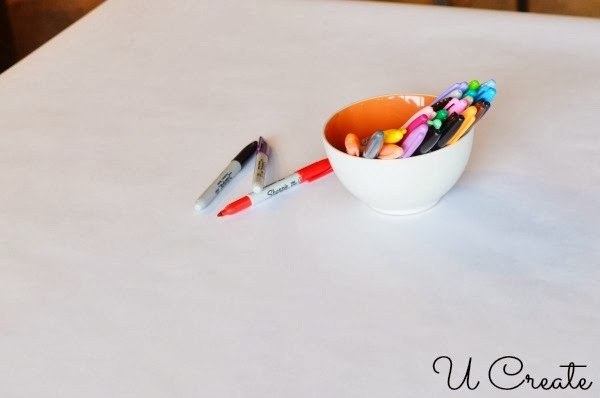 When I have work to do and my little one is bored, I cover one side of the table with butcher paper or kraft paper. She helps me tape down the sides and then she runs to get the Sharpies or crayons or watercolor paints. Children color on this until the “canvas” is full! Mine are occupied for at least an hour with this simple art project. 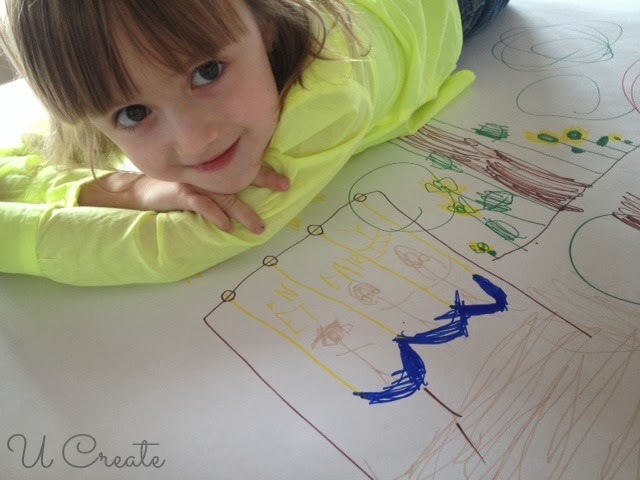 We also use butcher paper as a table cloth when all the nieces and nephews come over. It’s always a hit! -the kraft wrapping paper at the dollar store. -the rolls of butcher paper at Hobby Lobby. I bought a roll of paper (not butcher paper, but newsprint I think) from our newspaper. It was $3. We use it all the time.